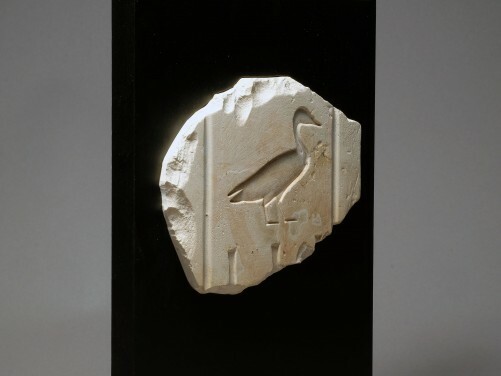 New Kingdom, circa 1550-1070 B.C. 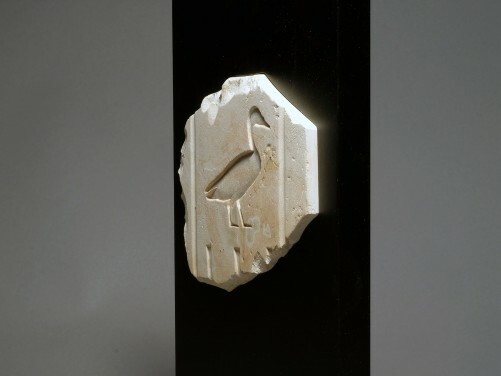 Fragmentary limestone column relief sculpted in sunk, depicting a standing pintail duck, translating to sa, ‘son of…’, with fragmentary inscription beneath, and traces of pigment preserved. ex. 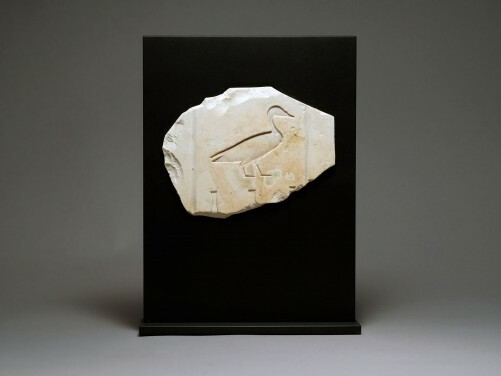 British private collection, prior to 1980. 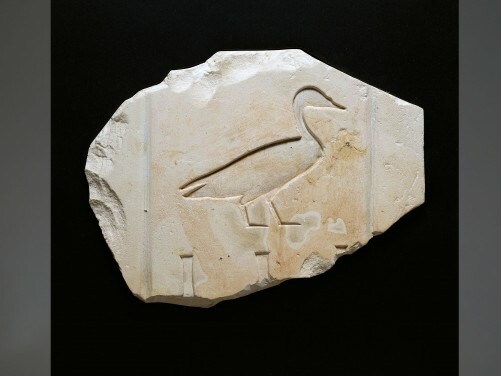 For a similar image of a duck in raised relief, see A. P. Kozloff and B. M. Bryan, Egypt's Dazzling Sun; Amenthotep III and his World, Cleveland, 1992, p. 118, no. 4.